Presenting our ABS-Lock DH04-F in moving images: Watch our short product video to find out more about its most important features! ABS-Lock DH04-F roof safety hook in anthracite. Our ABS-Lock DH04-F roof safety hook is designed for implementation as an anchorage device for all directions of load in accordance with EN 517:2006, type B. 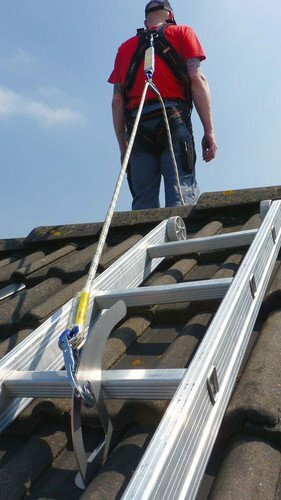 The big advantage: Workers secured by this system can also move around above the anchorage point, up towards the roof apex - or even right over it. You can also hook your ladder onto it. 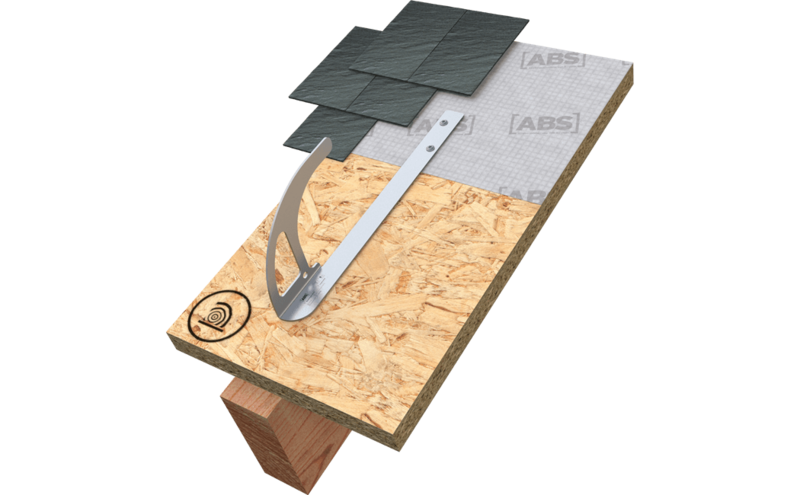 Our stainless steel roof hook has a flat shaft for use on a continuous section of panelling. The device is installed by screwing through the counter lathing/panelling (over-rafter insulation) and fixing it to the beam. The supporting beam underneath must measure at least 60 mm x 120 mm. 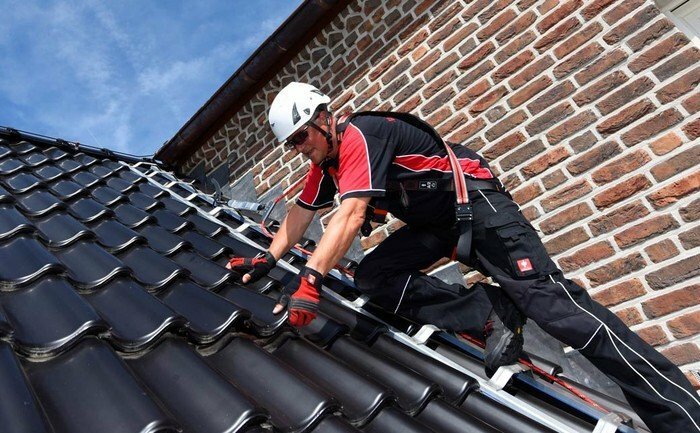 In a series of internal static and dynamic load tests, we successfully demonstrated that our roof hook is capable of securing up to 3 individuals. Our ABS-Lock DH04-F is available in three different standard finishes: Uncoated, red (RAL 3009) and anthracite (RAL 7016). 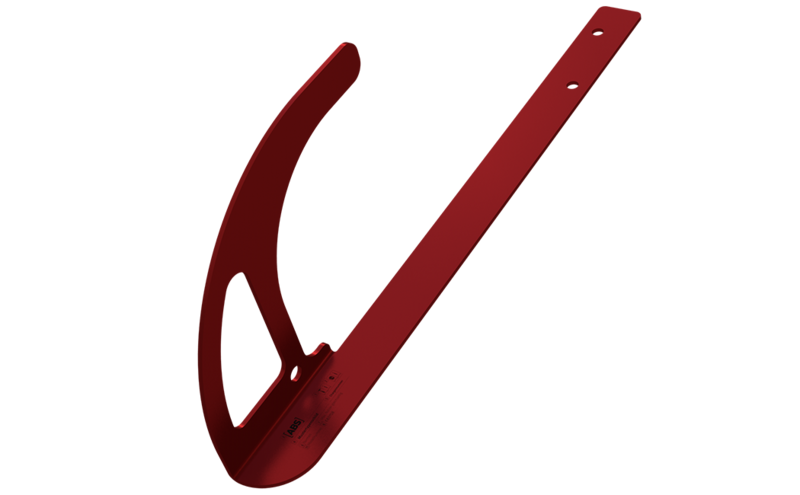 Upon request, we can also supply this roof safety hook in a range of special colours. Of course, our product portfolio also offers you the perfect PPE.